RD 6089 near Terrasson-Lavilledieu, on a grey morning. 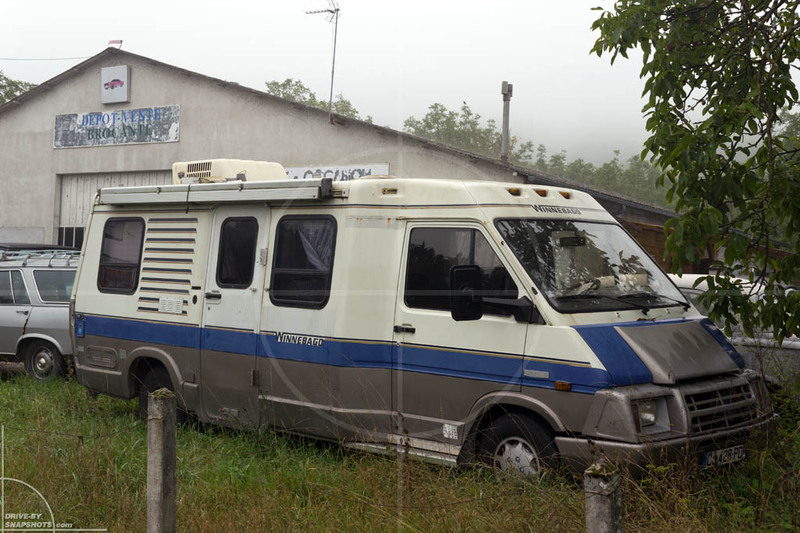 Cruising along with the local traffic… I spotted something based on the Renault Trafic on the side of the road: the Winnebago LeSharo. 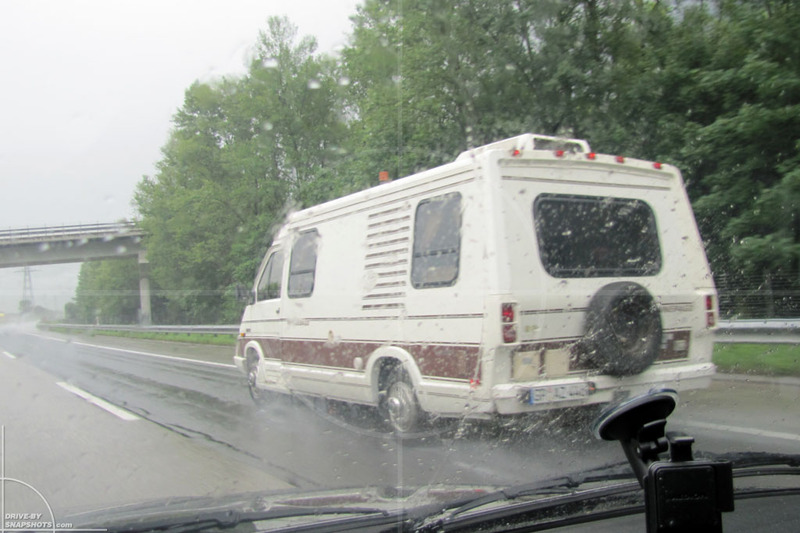 I have always liked how the French design of the base vehicle integrates well with the American style camper body. 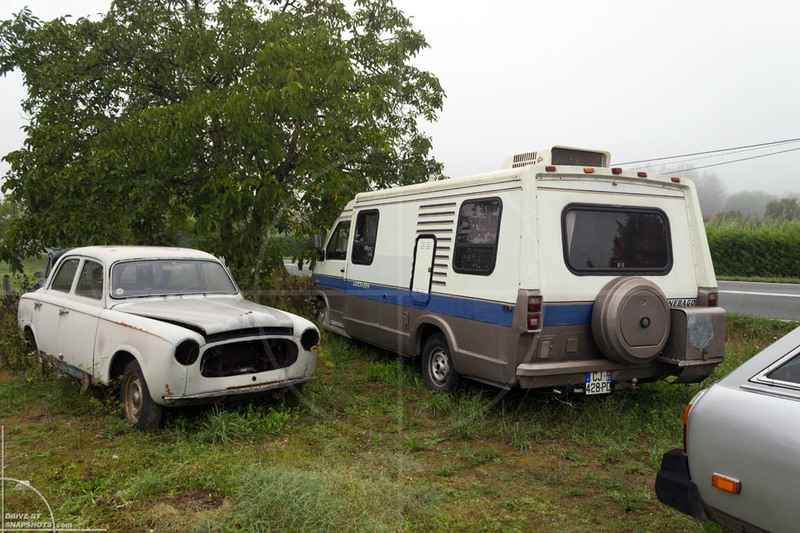 If you look at other Winnebago motorhomes of the same period, you can even see a familiar resemblance. Being flanked by a US-spec Peugeot 504 Break was a nice coincidence. The dealer had many other interesting vehicles for sale, some of which you will sooner or later find here at Drive-by Snapshots. 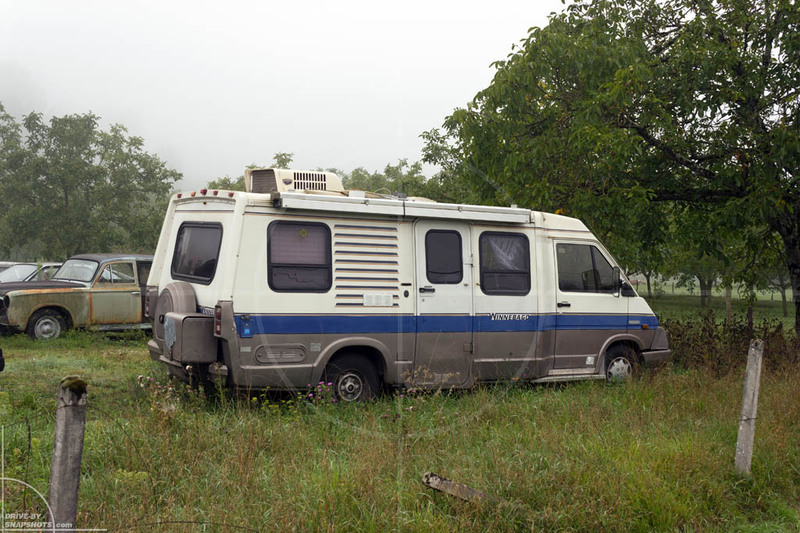 Click here to download the official Winnebago brochure in PDF format. 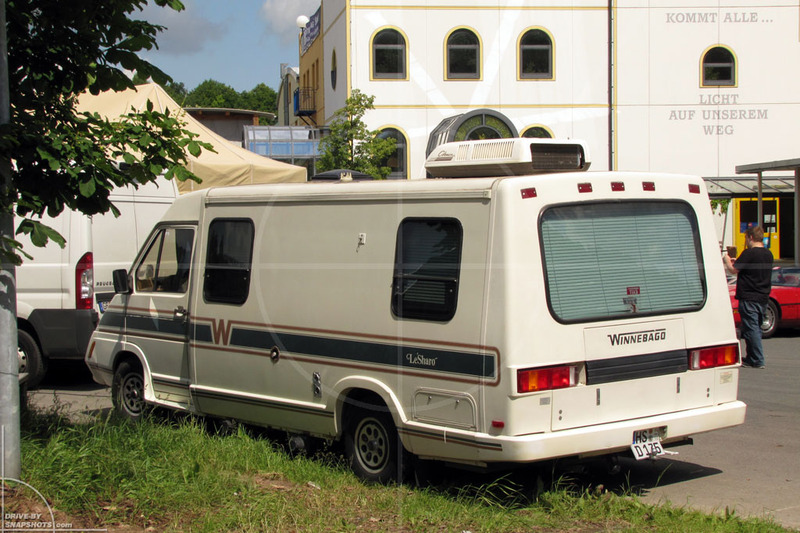 At the 2012 StreetMag US Car Show in Geiselwind, I spotted another Winnebago LeSharo. This one seemed to have been restored not too long ago, judging by the condition it was in.